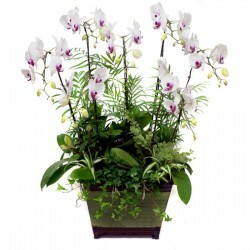 During times of grief, send a gentle message of hope with funeral flowers. These gifts are a kind way to honor someone at their service and show loved ones that you care. 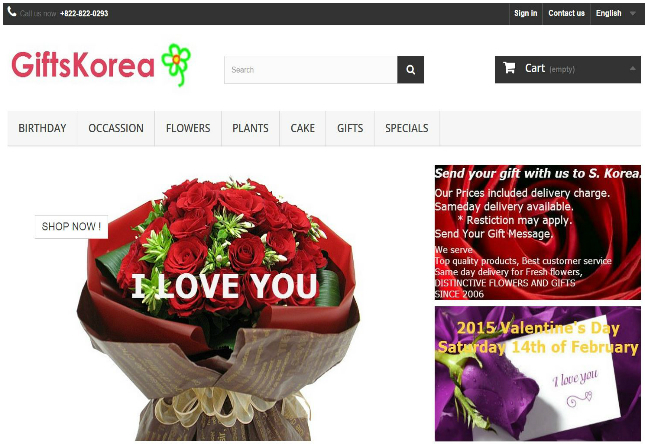 Send funeral flowers online to bring comfort to grieving family members and honor the life of someone who passed on. 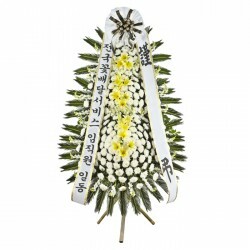 Funeral There are 9 products. 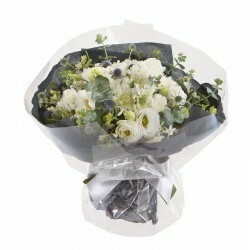 Colorless blend of white flowers become more dominate by giving a modern feel by the black packaging bouquet. 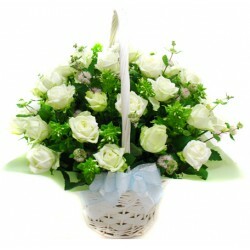 Product consists: Roses, Lisianthus with seasonal greens. 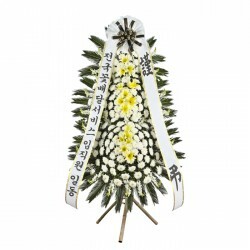 Dimension: 35 * 40 cm Please note that this item required 3 days advance order for delivery.